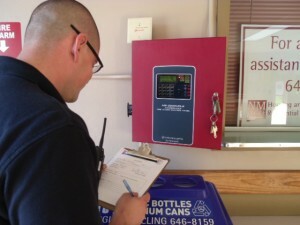 NMSU Fire Department inspects all University property on an annual basis to ensure compliance with the fire code, as a means to reduce injury or death and minimize property damage during a fire or other emergency. Learn how you can help us by reviewing our Fire Prevention Guidelines. If you would like us to inspect your University property, please call us at 575-646-2519 to set up an appointment.